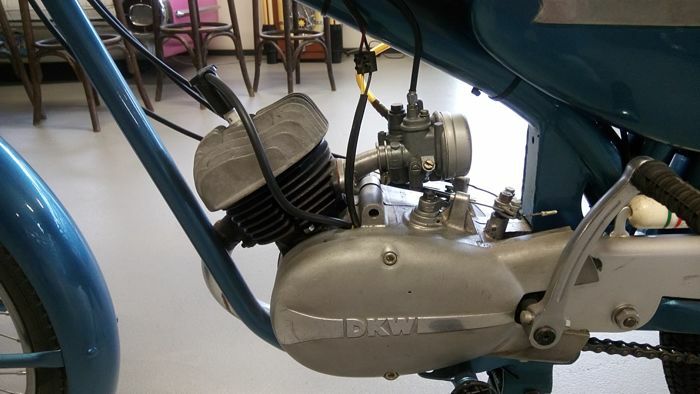 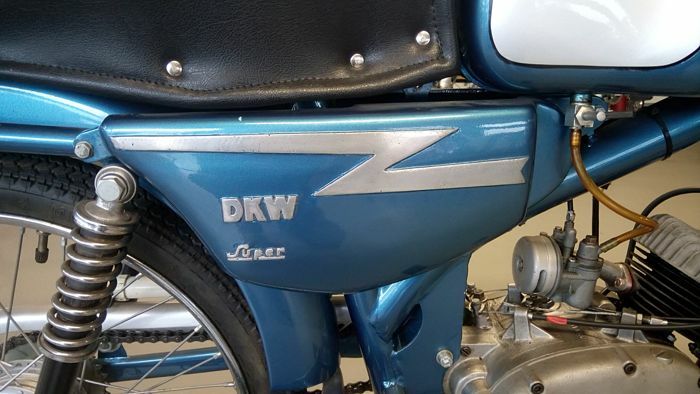 A beautifully restored DKW Sport moped from 1962. 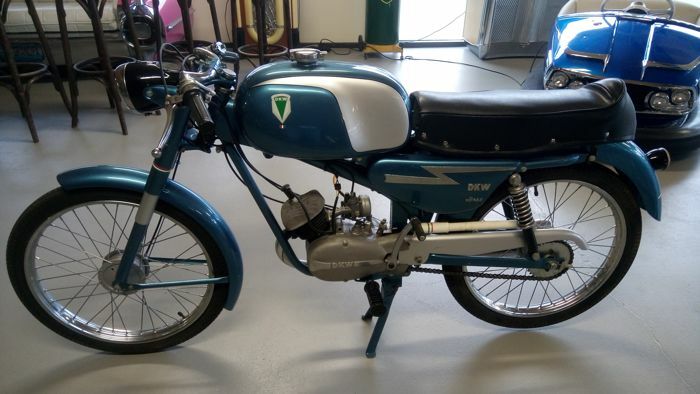 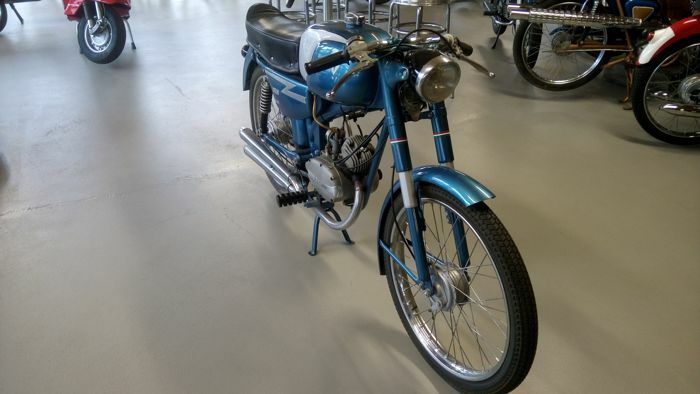 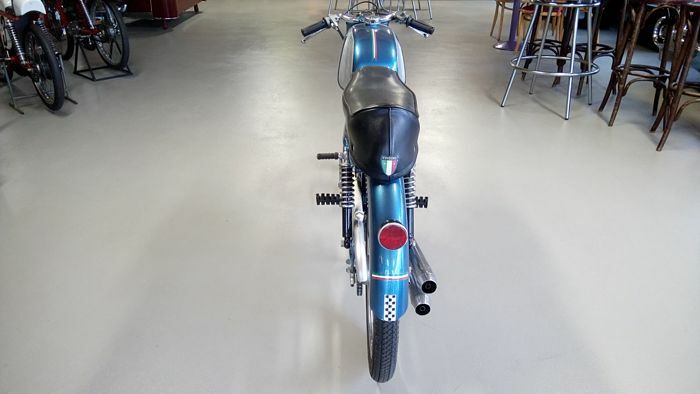 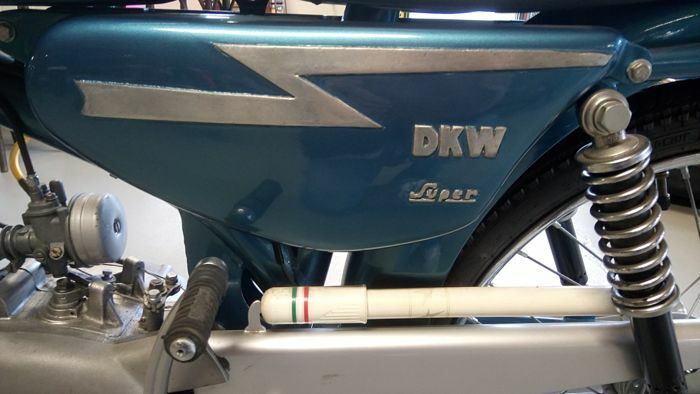 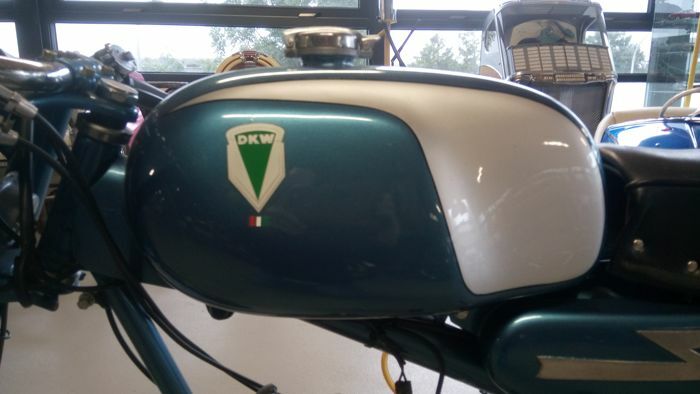 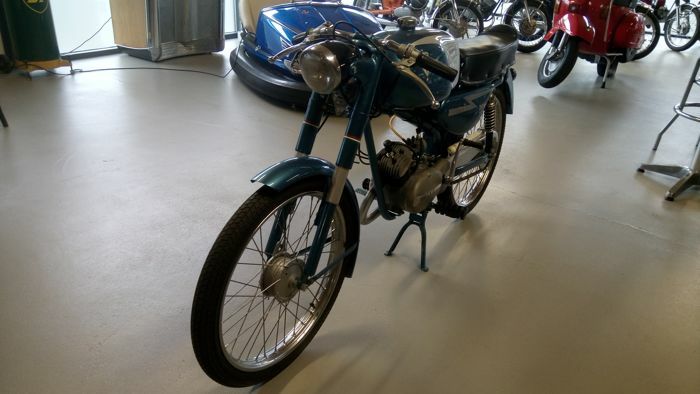 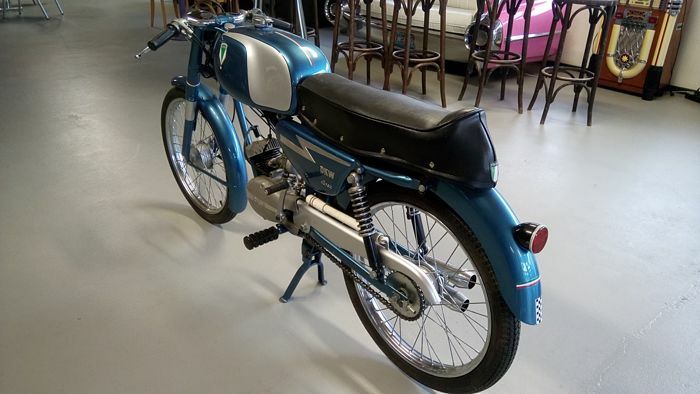 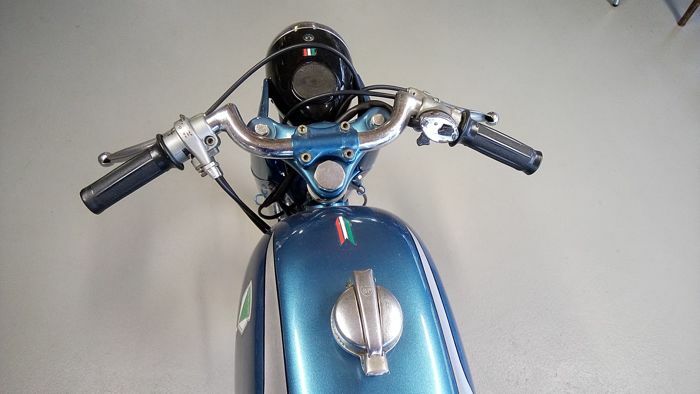 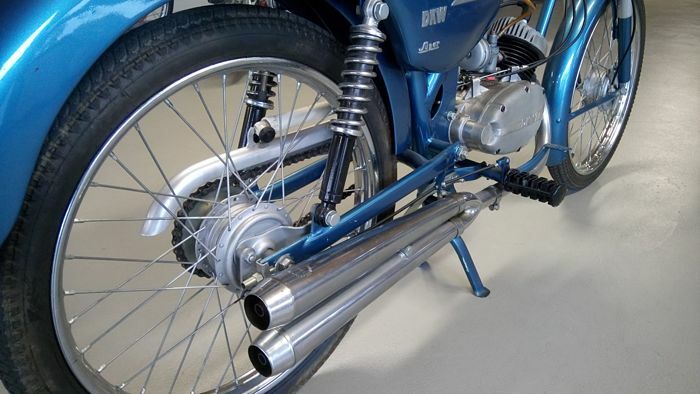 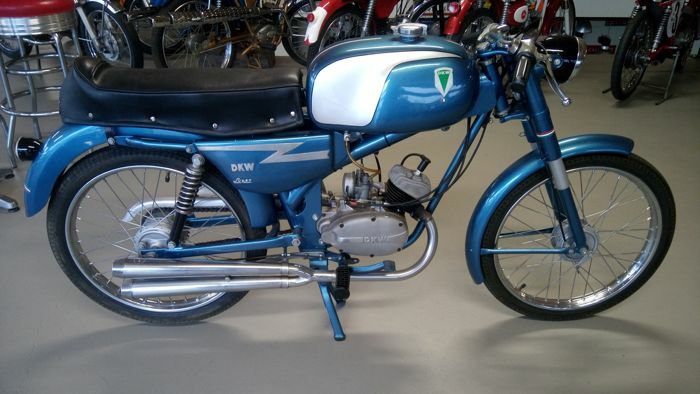 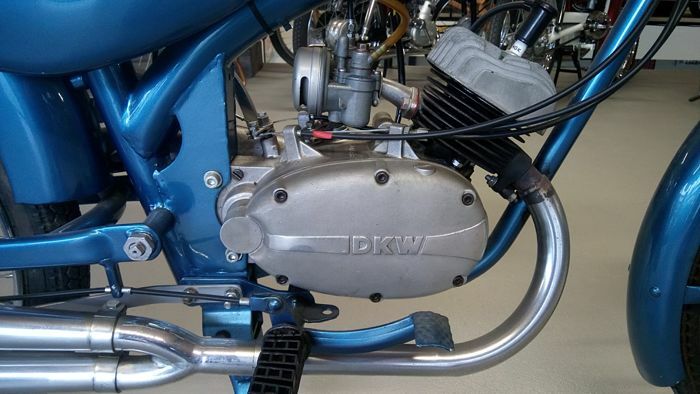 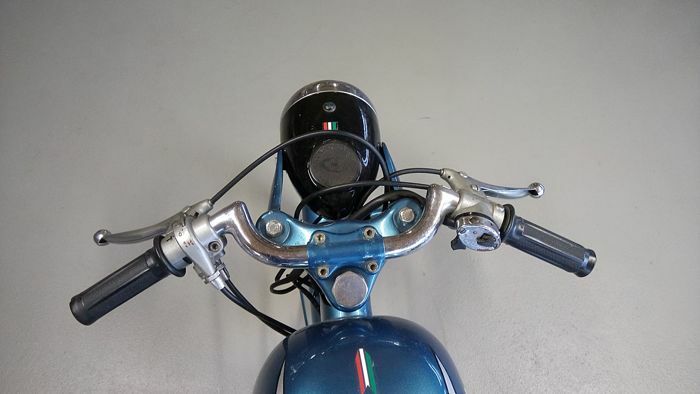 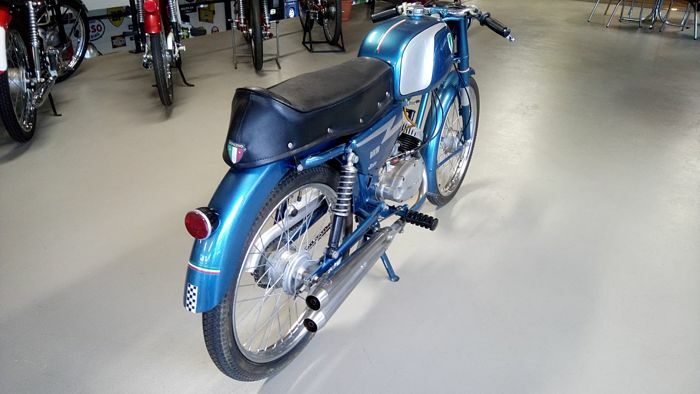 As slender as an Italian, a very sporty look and in beautiful condition: We are talking about a DKW from the period that DKW still was really DKW. 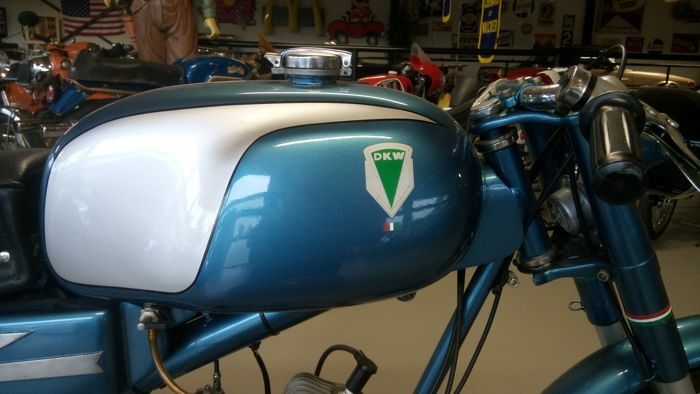 This thoroughbred was built in 1962 and is light blue. 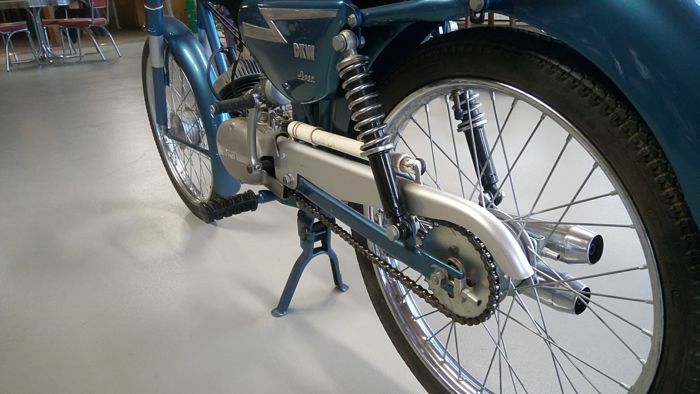 This moped drives and shifts well.